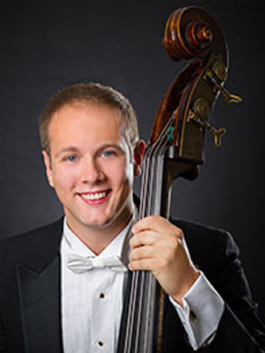 Bassist Max Zeugner joined the New York Philharmonic in September 2012. He has been associated with Apple Hill as a performing artist and faculty member since 2006. 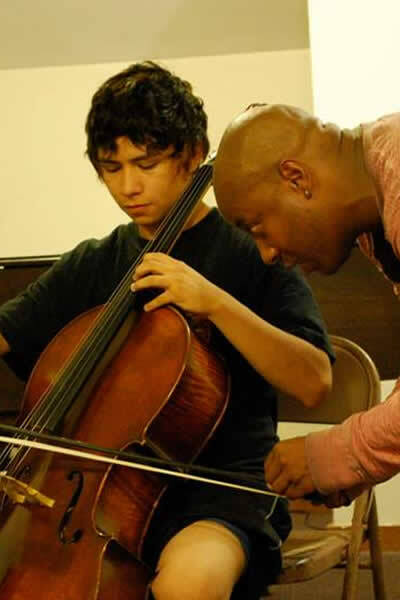 Originally from Worcester, MA, he began his double bass studies at Burncoat High School’s Music Magnet Program. After attending a summer chamber music workshop at Apple Hill as a teenager, he shifted his focus from jazz to classical. His teachers since then have included Richard Hartshorne in NH, Deborah Dunham at New England Conservatory, Orin O’Brien at The Juilliard School, and Edwin Barker at Boston University. Mr. Zeugner has been principal double bass of the Northern Sinfonia, the London Symphony Orchestra, the Netherlands Philharmonic Orchestra, and the BBC Philharmonic Orchestra. He has served on the faculties of the Royal Northern College of Music, Newcastle University, and The Sage Gateshead Weekend School and has coached the double bass sections of Britain’s Young Sinfonia and National Youth Orchestra and the Durham University Orchestra. In August 2008 he made his debut as a conductor leading the Darlington Youth Orchestra at the Edinburgh Festival. Mr. Zeugner has performed chamber music extensively in the United States, Europe, South America, and the Far East and performs frequently with his wife, pianist/fortepianist Yi-heng Yang. In the non-classical realm, he is a former member of the Eastern Jazz Project, Charles Ketter Quartet, and Delfino Brothers Duo and has performed with such artists as Joanna Newsom, Kelly Polar, and the Pet Shop Boys.